•	The Kenitra plant will start production in 2019, and will double it’s production capacity to reach 200.000 units/year starting 2020. •	This investment supports Groupe PSA’s development plan in the Middle East and Africa region. • The integration rate of vehicles produced in Kenitra will reach 60% at start and will be increased to target 80%. Groupe PSA organized on Tuesday, September 4th, 2018, in presence of Mr. Moulay Hafid El Alamy, Minister of Industry, Investment, Trade and Digital Economy of the Kingdom of Morocco, and Mr. Jean Christophe Quémard, Executive Vice President of the Middle East and Africa region and member of the Executive Board within Groupe PSA, a press conference at the group’s plant in Kenitra. The Kenitra plant will produce engines and vehicles by 2019 and will have an initial production capacity of 100,000 vehicles / year. It will rely on the Moroccan supplier base to achieve from the start a local integration rate of 60% and target 80% . 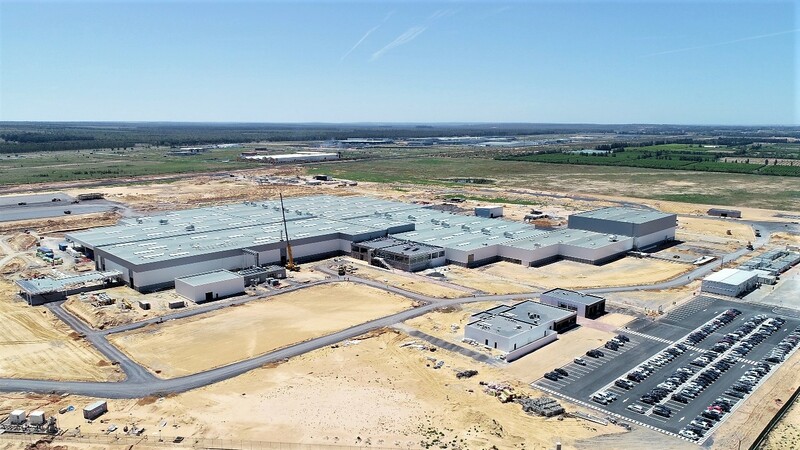 Given the success of its products worldwide and in the Middle East and Africa region, Groupe PSA has decided to double the capacity of its Kenitra plant and increase it to 200,000 vh / year by 2020. This additional capacity will be a key factor in accelerating the development of the group's ecosystem in Morocco. Mr. Elalamy highlighted the excellent relations between the Kingdom of Morocco and Groupe PSA : "The PSA Ecosystem unfolds with a sustained pace and important achievements. A diversified suppliers is setting up in Morocco, local integration is developing, the local sourcing volume is growing and an R & D ecosystem is being built. " Said Mr. the Minister, adding that "the project is a real locomotive for the development of an industry that is performing very well". This decision attests to the dynamics of Groupe PSA in the region and particularly in Morocco. "Groupe PSA has a global plan for Morocco covering the entire automotive value chain, our project has no equivalent in Africa," said Mr. Quémard. He continues: "Today we are taking a new step forward by doubling the capacity of our Kenitra plant by 2020". Groupe PSA designs unique automotive experiences and delivers mobility solutions to meet all customer expectations. The Group has five car brands, Peugeot, Citroën, DS, Opel and Vauxhall and provides a wide array of mobility and smart services under the Free2Move brand. Its ‘Push to Pass’ strategic plan represents a first step towards the achievement of the Group’s vision to be “a global carmaker with cutting-edge efficiency and a leading mobility provider sustaining lifetime customer relationships”. An early innovator in the field of autonomous and connected cars, Groupe PSA is also involved in financing activities through Banque PSA Finance and in automotive equipment via Faurecia.